One of Jim’s hidden talents is juggling, and that’s a skill he brings to work each day as he manages each client’s multiple priorities, giving each client the focus and attention they deserve. 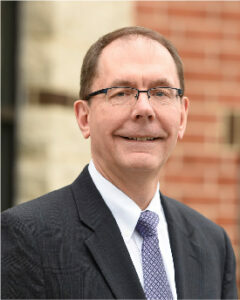 Jim joined Gift CPAs in 2006 and has more than three decades of professional accounting experience. He draws on the depth of his experience as he advises small business owners on both the everyday and long-term strategic decisions they face. Jim also uses his experience to help mentor younger accountants and is actively engaged in the firm’s peer review process. Jim is a member of the Pennsylvania Institute of Certified Public Accountants (PICPA) and the American Institute of CPAs (AICPA). He actively volunteers with New Hope Ministries’ GED program as needed.